In a large mixing bowl, combine the ground turkey, onions, peppers, garlic, parsley, salt and pepper. Shape into 4 burgers. Place on a plate in the fridge for 30 minutes to set. Rub the rest of the grasped oil on the Portobella mushrooms and season with salt and pepper on both sides. 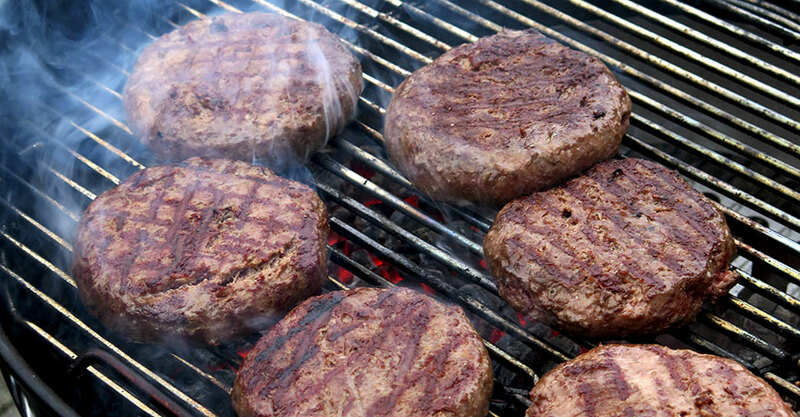 Heat a grill and cook the turkey burgers until the internal temperature reaches 165 degrees. In addition, grill the Portobello mushrooms on each side. Serve each turkey burger in between to Portobello mushrooms slices as the bun.